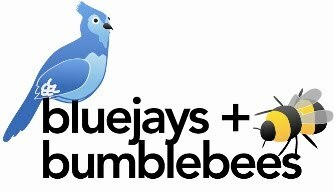 bluejays & bumblebees: OPEN for BZZZZZness! Hello friends, and welcome to our shop. We are excited to be open! To purchase any item you see here, go to our SHOP tab up above. All of our products are handmade and designed by Justin Bagley and Brooke Freed, and are made in our studio. We are proud of each piece that we make, and we hope you like them too. Thank you for your support! or on the SHOP tab above.